After deciding that your property in Avon Township needs a water well, the next step is finding the best water well drilling company to install it and maintain it for years to come. Picking the right company can mean the difference between a hassle-free well that lasts for years with minimal maintenance, and one that’s a constant source of headaches. It’s likely that the water well drilling company you choose will be the one you work with for installation as well as maintenance. Since you’ll be dealing with them for quite some time, you want the best in terms of customer service and satisfaction. Here are some tips to finding the best water well service company for Avon Twp., MI to meet your needs. With something this important, it’s never a good idea to rush things. You shouldn’t just go with the first water well drillers servicing the Avon Township area you find. Look around and see what other companies have to offer before making a decision. Make a list of the services they offer so it’s easier to compare which one fits what you’re looking for. Next, narrow down that list to a couple of drilling companies and get in touch with each one. This will give you an idea of how they deal with customers. Remember, take it slow so that you’ll end up working with the right team of professionals that can meet your needs and budget constraints. A good water well drilling service should be more than happy to answer all your questions and lay their cards on the table. This means that they will have certificates and credentials for various aspects of the business. These should include safety compliance practices, association memberships, and commercial insurance. This information will help you verify if the company is qualified and well-equipped to provide you with the best of well drilling service in the Avon Township area. After you’ve gotten the above steps sorted out and you’ve narrowed down your list to a few great well drilling companies, feel free to give them a call to schedule an appointment. Have them check out your location so that they can conduct a visual overview, give you advice on how to go about the project, and let you know the cost before you commit. If their terms sound fair, then that’s a good sign. Once you’ve chosen the service provider, get your project details and all associated costs written in a contract. You’ll also want to ask at this time about any maintenance services or deals. Looking for the Best Well Drilling Company for Avon Township, Michigan? 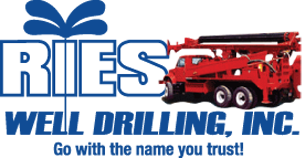 If you still need help with getting a water well installed on your property in Avon Township, MI, get in touch with the experts at Ries Well Drilling. With years of experience providing excellent water well installations in Michigan, you can count on us to provide you with a positive experience from the first initial call to the end of installation. Give us a call today to set up a time for free quote for a water well in Avon Township or across Southeast Michigan.